Your business’s copy machine is nearing its end. With this copier, you’ve seen it all: common copy machine problems, frustration, and so on. At one point, instead of continuously repairing an old and worn copier machine, it is to consider other options. Of course, you could purchase a new copier machine or you could choose to rent one. Renting a copier machine has numerous benefits, but knowing whether or not it is the right choice for the size of your business and the industry you are working within. 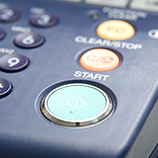 Before making a decision, you should first determine whether or not a copy machine rental agreement will be able to meet the need of your business compared to purchasing the equipment outright. When making this decision, it is important to evaluate and determine whether or not a rental copier will meet the needs and fit within your budget. Try the following tips to help determine whether or not is a viable option. Track and record how many copies are made each week as well as the copy tasks that are most commonly performed. Make sure that employees are also keeping a record to ensure the most accurate results. Contract multiple copier and office equipment rental companies in the area to figure out the average price of a copier machine rental. For the best results and an easier decision, try to get a minimum of three rental estimates. When receiving quotes, be sure to ask which features are included in the price and rental agreement. 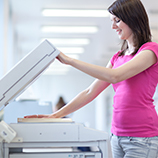 Be sure to ask for additional information about available copier machine models within a typical lease. Review the available models to make a list of the best features that will best support your office operations and productivity. Although these steps may seem simple, they can provide your business with valuable market information to determine whether or not leasing or buying would be the most beneficial for your business. Once you have estimated your average volume of copies and tasks completed and some of the features you need, you will be better prepared to compare renting a copier and paying small, monthly payments versus buying one at market price. Although leasing a copier is not always the best choice for every business, there are several advantages to consider before making a final decision. Modern Equipment and Technology. Instead of getting a new copier every few years to keep up with advanced and modern technology, a lease will provide a business with the opportunity to upgrade at the end of a rental agreement term to take advantage of new features in the industry. Budget-Friendly Option. For certain businesses that do not have the budget to pay for a copier in full, a rental agreement will offer a set monthly fee that can be expensed in a company budget. No Repair Expenses. 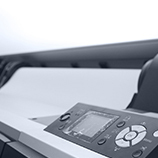 In the chance that your copier malfunctions during the lease agreement, you will not have to worry about repair or maintenance expenses — the rental company handles all the hassle! If you think renting a copier is right for your business, contact Business Equipment Rentals to learn more about our office equipment rental agreements!